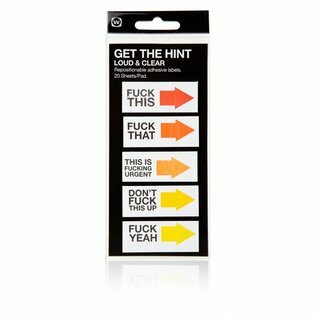 Memo notes for when you want to leave a not-so-subtle hint. Stick the repositionable adhesive labels anywhere you want to be noticed; business documents, journals or magazines. 5 different rude exclamations and 20 sheets per pad.